Late March and early April is definitely a tense period in Rallytechnology team’s calendar. 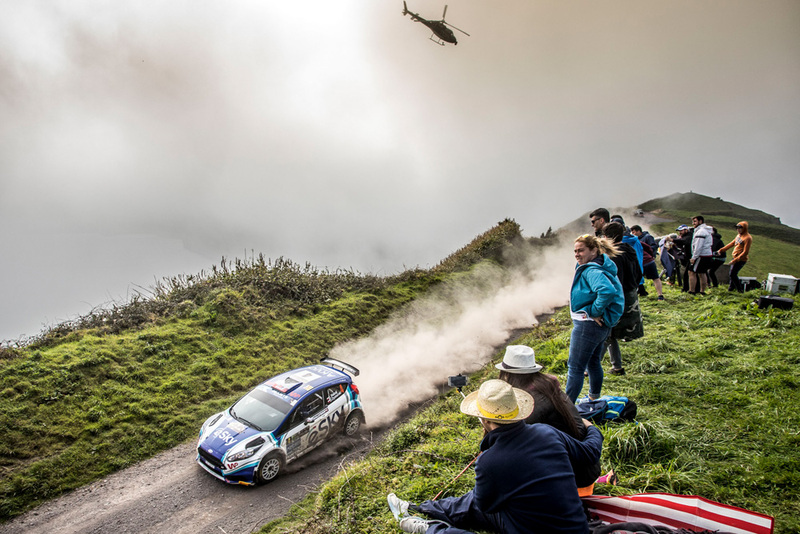 The recently finished first round of Europe Rally Championship 2018 (FIA ERC) took place not so long ago on volcanic Azores and already next weekend four crews of the Rybnik’s team will compete in Kopná Rallysprint. First, let’s get back to the gravel special stages though, which the organizer of the season-opening FIA ERC round set out in the picturesque regions of St. Michael Island. In this rally, our country was represented by four crews. Among them, Łukasz Habaj and Daniel Dymurski got the best result, finishing on the seventh position in the general classification. The crew of eSky Rally Team competed in Ford Fiesta R5 serviced by Rallytechnology. “This year’s edition was definitely a more difficult one. I am happy to have reached the finish since we had had some problems. The competition was really top-notch,” commented Łukasz Habaj at the finish line of the last trial. Łukasz has scored here his first points in this season’s general classification. During 6-7 April, Rallysprint Kopná will take place, a race based in Slušovice ni the Czech Republik. There are as many as 114 crews signed up for the competition, four of them in Rallytechnology cars. Duos: Habaj/Dymurski, Gabryś/Natkaniec and Poloński/Sitek will use Ford Fiesta R5. For the last crew this will be a debut in a car of that class. Bonder and Gerber will drive a Peugeot 208 R2.